Famous for its innovative tipping Mash Tun, the Tippy-Dump BrewSculpture™ allows you to easily dump spent grain after mashing. Place a garbage can on the built-in step, tip the mashtun and you're done… no heavy lifting or scooping necessary! 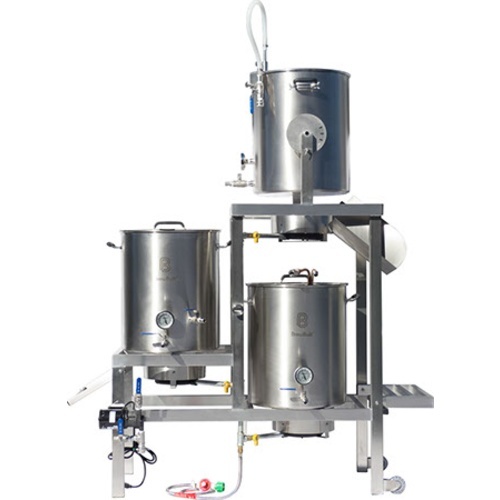 Inspired by professional brewpub brewhouses, which are designed to fit in tight spaces, the mashtun is placed directly over the hot liquor tank. This not only saves space but also allows for heat coming off the hot-liquor tank to help keep the mashtun warm during the mash. In Brew Sculpture Version 4 we have added a Tippy Disc that is welded directly to the kettle. 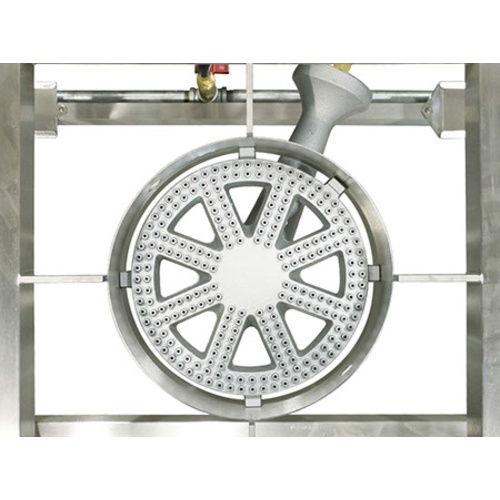 This allows for the mashtun to be locked in when vertical and then to be rotated and locked in at different angles as you empty and clean the mashtun. 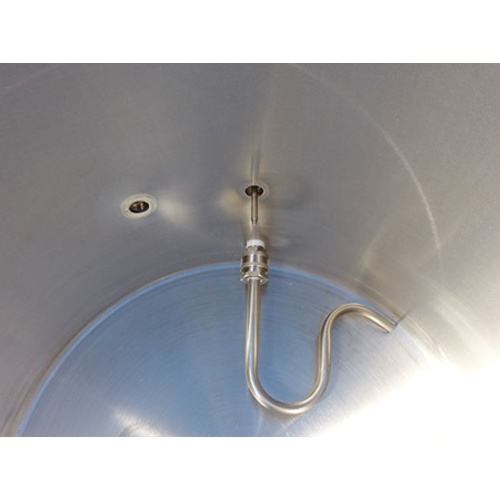 The Tippy Dump system includes a built in flip-down stainless step giving you easy access to see into the mashtun.